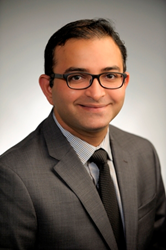 Quality of care for patients with peripheral arterial disease (PAD) remains less than optimal, even though incidence of the disease is increasing both in the United States and worldwide, according to cardiologist, Suresh Sharma, MD, lead author of a major study on the topic. The research, published online in February 2014 in the American Journal of Cardiology, sounds an alarm about physicians’ underuse of statins and other medications to prevent adverse cardiovascular events in PAD patients, even though the disease is related to coronary artery disease (CAD) and, like CAD, can increase a patient’s risk for stroke, heart attack and even death. “Our study, one of the largest cohort studies describing current clinical practice, shows significant differences in lipid control and statin use in patients with CAD compared to those with PAD,” says Dr. Sharma in the research report. “There was significantly less use of statins with less optimal lipid control in patients with PAD, compared [to] patients with CAD. The study reviewed treatment of more than 11,000 patients, including nearly 86 percent with a diagnosis of CAD, 5.4 percent with PAD, and 8.7 percent diagnosed with both CAD and PAD. In the study, Dr. Sharma and colleagues call for greater awareness among physicians and other health providers of the need for more aggressive use of cholesterol-lowering drugs, namely statins, to stem progression of PAD and to control risk factors. Although sometimes asymptomatic, PAD can make walking painful and difficult, lead to limb amputation and pose life-threatening consequences. PAD causes narrowing of arteries in the legs, although the disease can also affect arteries in the arms and those feeding blood to the kidneys, stomach and other major organs in the body. Statins, which are regularly prescribed as a first-line defense in patients with narrowing of the arteries in cardiovascular disease, are effective in lowering overall blood levels of “bad” cholesterol – LDL or low-density lipoprotein -- and triglycerides, another type of fat. LDL is the primary source of plaque, which builds up along the arterial walls, causing them to narrow and harden and restricting blood flow. Even though the disease process in PAD is similar to what occurs in coronary artery disease, PAD patients are not always receiving the same medications and aggressive medical management that could reduce their morbidity and mortality risks, Dr. Sharma explains in the study report. Other research confirms Dr. Sharma’s findings, showing that use of statins, particularly high-intensity statin drugs for patients with more severe cases of PAD, can prevent formation of limb- and life-threatening blood clots, reduce incidence of stroke and heart attack and slow progress of the disease. Guidelines published by the American Heart Association and American College of Cardiology in 2016 call for use of statins and blood thinners in all patients with PAD to reduce risk of heart attack and stroke, However, the disease remains underdiagnosed and undertreated, Dr. Sharma states. This lack of aggressive management of PAD by health care providers can be contributed, in part, on the limitation of scientific organizations to place the same emphasis on treating the disease as they do on CAD, Dr. Sharma explains. “The use of antiplatelet, anti-hypertension and lipid-lowering medications is now incorporated in performance measures of CAD management,” says Dr. Sharma in his study discussion. “Given the recent emphasis on quality [outcome] measures and improvement, studies have focused [primarily] on the use of risk-factor modification in CAD. This has largely been achieved by the implementation of stricter guidelines and programs to improve adherence with the recommended guidelines. However, “awareness of aggressive risk-factor control has significant room for improvement when it comes to secondary prevention measures in patients with [a diagnosis of] PAD alone,” continues Dr. Sharma. “Due to significant increase in cardiovascular morbidity and mortality, functional decline and loss of mobility, the alarming increase in prevalence of PAD represents a significant public health burden. Hence, there is potential to improve the current practice and risk-factor control in patients with PAD by increasing awareness in health care providers through developing outcome-based quality improvement programs by scientific committees,” he states. One in every 20 Americans above the age of 50 has PAD, according to statistics from the U.S. Department of Health and Human Services. Risks factors for the disease include age, diabetes, high blood pressure, raised levels of LDL, and a history of smoking. Up to 40 percent of PAD patients may be asymptomatic in early stages of the disease. That’s why Dr. Sharma suggests that older individuals, especially those 65 years of age and above, who have high blood pressure or other additional risk factors, talk to their physician about a PAD screening. Screening simply involves ultrasonic measurement of systolic blood pressure in the legs and arms. · Be diligent in taking prescribed medications. · Walk as much as possible, even though it may be somewhat painful, and do the recommended exercises. Talk to your physicians about supervised exercise programs. · Eat well-balanced meals to help lower blood pressure and cholesterol. · Keep feet clean; watch for sores or skin cracks developing on legs or feet. Restricted blood flow increases chances for infection. · Ask a doctor before taking over-the-counter drugs. Some of them contain substances that interact with your other medications including blood thinners you take for PAD. Bio: Suresh Sharma, MD, is an interventional cardiologist with KentuckyOne Health Cardiology Associates.